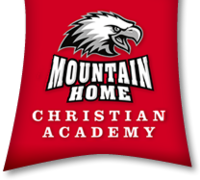 Mountain Home Christian Academy is a non-profit, non-denominational, private Christian school. MHCA does not receive any federal or state funding. The Academy operates solely with the income from tuition and private contributions. MHCA desires that each child carry with him or her an awareness of God’s presence throughout their daily social and academic activities. We teach and encourage the practice of Biblical principles, which develops Christ-like character. Preschool and K-12 education.